They say that first impressions are always right. Well, sometimes an author can be normal , nice and even quiet and then write a book that blasts your impressions to smithereens…in the nicest possible way! You look so innocent and nice – now you’re gangland? Where did this story come from? Well you know what they say about the quiet ones! I spent twenty-seven years in the Met Police, the majority within the Specialist Crime Operations Command targeting serious and organised criminality. Most cops deal with serious violence on a daily basis. Response officers will deal with stabbings and shootings as a result of gang related violence. You only have to look at knife crime figures to see what they’re up against. Knife crime is quick and often deadly. Prevention through education, stop and search and intelligence led policing is the way forward. All of this requires officers on the ground and sadly this government isn’t supportive of the police and the public sector in general. Without community support you’ve lost the streets. Thankfully we still have that. So I’ve spent many years working at targeting organised criminality and gang related violence. This ranges from street level to international crime. 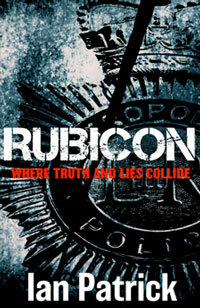 So, what’s Rubicon about then? What’s your writing and working background? I’ve been a writer since I attested. Everyday was a writing day: reports, statements, interview accounts, case papers. It was never ending. 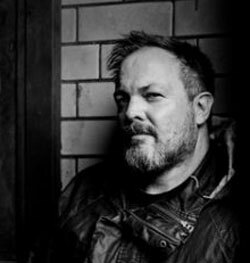 I have been writing fiction for twenty years in addition to my work. 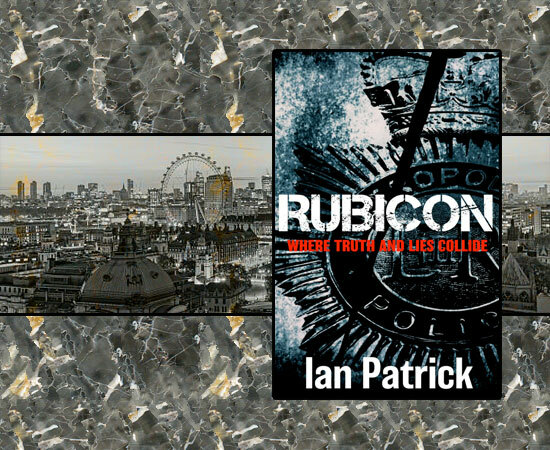 Rubicon is my second book but the first to be published (by Fahrenheit Press) and now awaits adaptation for TV by the BBC. This is your first book and it’s already been optioned for TV – how epic is that? It’s incredible. I’m not over the shock! I had an opportunity to pitch it and took it. I never dreamed it would be taken up. What debut author can, hand on heart; say they knew it would be snapped up? I’m a working class man. I left school when I was sixteen and joined the Civil Service typing out giro cheques and filing claims. I took the police entrance exam and was astonished I passed! The rest is history. It’s only through ill health that I retired three years early from the police and decided to concentrate on my writing. Story telling was something an English teacher said I was good at and I’ve never forgotten it. I feel elated at the feedback Rubicon has received. It makes a huge difference to a writer that his or her book has had a positive impact on someone’s day. Everyone’s time is precious and subject to many demands. To have someone give up their time with your book is a great privilege. The book is set primarily in London. I try and keep scene description to a minimum. As a reader, I don’t like books that over do the description of scene. I prefer to leave this to the reader to create. If it’s necessary I put it in if it isn’t I leave it out. I don’t use it to pad out word count! We all interpret life in different ways and this adds to the reading experience. Every reader is unique. Location is important but it’s not crucial to the book. I say this from the point of view that places change all the time, especially in London. So many police buildings are being sold due to the cuts. Boroughs are being reduced from thirty-two to twelve! I try and be as accurate as I can, at the time of writing, but nothing’s future proof. That’s the beauty of fiction. That’s a very good question. The truth is that with fiction you can let your imagination run away with you. Let the reader decide whether something seems plausible or not. I’ve also been in the police so it makes it easier when you create characters, their mannerisms and reactions. You meet so many people in your career in many different settings. If I were to write what a typical day looked like the reader would nod off! That’s why fiction is great to write. Some of the London landmarks are great places to see and cannot be made up. As for anywhere else they’re figments of my imagination placed in areas that don’t exist. To experience London you need to use all the transport systems. That’s a joy and frustration of its own. Jamyang Buddhist Centre in Elephant and Castle would be my top recommendation to visit. Calmness in a sea of hustle. I’d see some of the areas daily. The scenes that exist I visited. Thanks so much for having me here. I hope the readers enjoy the write up and Rubicon if they decide to buy it.